The National Youths Service Corps,NYSC was created by Gen. Yakubu Gowon,in May 22,1973. National Youth Service Corps is an organization set up by the Nigerian government to involve the country's graduates in the development of the country. At the time of its creation,it was rather more of adventures,than sorrows and regrets.The mandate of NYSC must be met by any graduate,before he or she can be employed by any organization,firm,or company. With NYSC,youths,graduates,can travel to places,and meet friends and fortunes,that may last for a life time. Recently,the tune of this music has changed. People,youths,corps members and none corps members,now want this set up,to be scraped. Why should NYSC be scraped? From our voice pox we had with corps members in a secretariat,the news has it that over 50 million Naira was spent on corps members in NYSC camp every three months for their feeding,and allowances in just 21 days in each camp. When you multiply this figure by 36 states which offer permanent orientation camps for NYSC,you will find out that the billions of naira spent in just one batch is so much to waste. 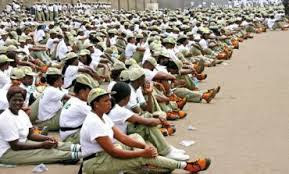 Instead of spending this much on just feeding and other allowances,''The Nigerian government should use the money and establish companies and industries'' say our corps members. This is one of the reasons why people cry,that NYSC should be scraped. Graduates want a situation where by,they can be given appointment letters, to start works,after their graduation,rather than NYSC discharge to face their fate and battle in life in the labor market. Did you know that three weeks before passing out parade,( P.O.P.) the question to all corpers is usually : ''What next after service?'' This question always feels so scaring especially to people who have no helper to secure jobs for them, soon after service,or at least,fend on something,until,one gets settled. Why should NYSC be scraped? Read more: Is the code of NYSC not falling? 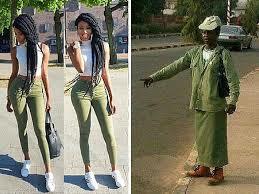 Yes,there are more disadvantages of NYSC than the advantages. People loss their dear lives and their loved ones to death in places of their assignments,and host of other misfortunes. Yes,why should NYSC be scraped? Why should it not be scraped?? ?